After planning meticulously for the months leading up to your event, the day it arrives should be exciting, joyous, and stress-free. This is sometimes not the case, especially for control freaks like us — anxious thoughts of the timeline and preparations, food being served on-time, and DJ/band/florist/photographer/venue/caterer/bartenders/transportation/etc. communication can bleed into the corners of your mind. You should be able to enjoy every second of the day, delight in every smile, savor every bite of food. Our event coordination team will work together to manage the entire day securely. We will be on-site to check-in with you or someone from your party in the morning, greet all vendors and oversee their set-up, assist in guest transportation to and from your venue, and manage the flow of the whole event by working closely with the catering department and all other vendors. As our event coordinators are also highly trained catering professionals, having people from both departments at your event ensures smooth, subtle, and efficient transitions through your timeline. This is a question that we want to avoid entering your mind the day of the event. We will plan everything with you in advance, and then guide you and your guests through the day from coordinating the ceremony, to getting guests to the cocktail hour, to introducing the reception, and so on. We will take care of anything you need, such as giving specific attention to VIP guests, the wedding party, and any guests with special needs, dietary or other. We will work closely with you leading up to the event to define all the special details and ensure that they happen in the way you imagined they would, while at the same time making sure you don’t need to think about it on the day of your event. We will ensure that you are able to enjoy your event — stress free. 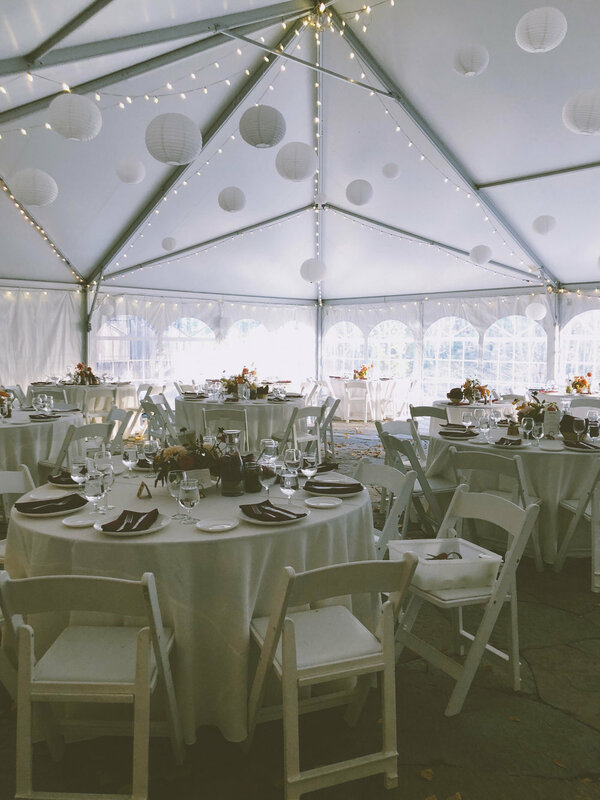 We will assist in all vendor and rental deliveries, make sure the ceremony and reception is perfectly set up, oversee place card arrangement, ceremony details, ensure that all vendors receive final payment, and manage the wrap up of the event, helping guests with transportation and assisting vendors in efficient clean up.